Join Robb Cox and Warrick Nicolson as they start up Cronk Watch in earnest after Easts booked their spot in the NRL Grand Final with a 12-4 win over South Sydney in the 2nd Preliminary Final. 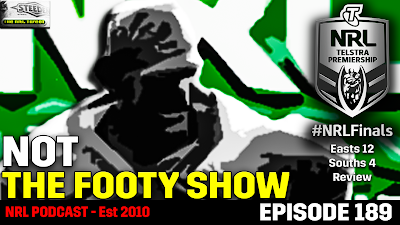 Plus we discuss Billy Slater actually being charged, Jake Friend getting away with his tackle, take some fan questions and spend about 30 seconds on who should ref the decider. Please jump onto iTunes and give us a review or just let us know you didn't hate it via social below.